Checkout the biggest and best points from the 2017 Austrian Open, brought to your screens by DHS. 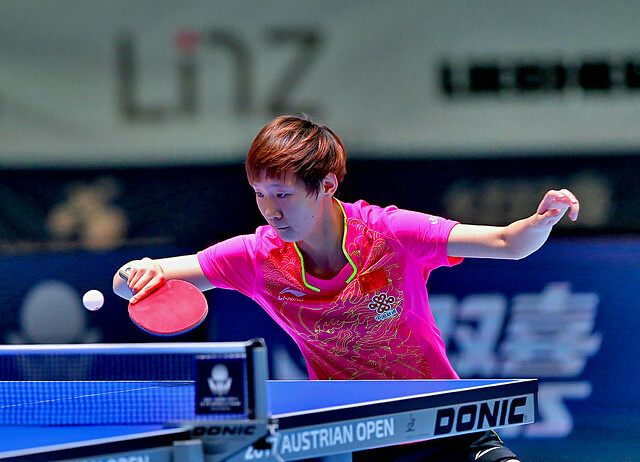 Relive the highlights from the 2017 Austrian Open with the DHS ITTF Top 10. When the best come out to play they lay it all on the table. Hugo Calderano has a backhand that won’t back down, but it certainly can bend. Watch the Brazilian curve the ball like he is at the football World Cup. With a wingspan without rival, no one holds the table better than Wang Manyu; she’s got every corner covered. Is anyone else reminded of Zhang Yining? Oh-mar! Can you believe he made that shot? Checkout the DHS ITTF Top 10 and be sure comment below what your favourite rally was.